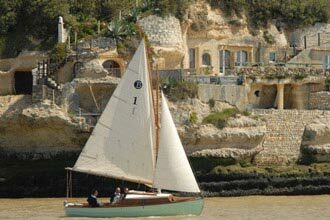 At sea, on the coast or inland, the Charente-Maritime offers you many sites of visits. Whether you are a fan of history or grandiose landscapes, you will be spoiled for choice! 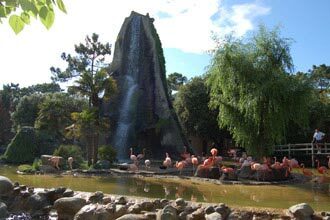 Partner of your holidays, the 5 * Camping Les Loges offers you at the reception all tourist documents to prepare your holidays. 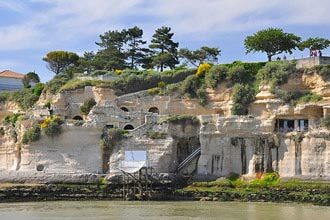 The limestone cliffs of Meschers shelter troglodytic dwellings and offer a remarkable view on the Gironde Estuary. Digging by the sea and by man, these cavities are full of history! Wreckers, shipwrecked, brigands, Protestants often found refuge there. Follow the footsteps of their former occupants and their lives at the edge of the estuary through a remarkable reconstruction! 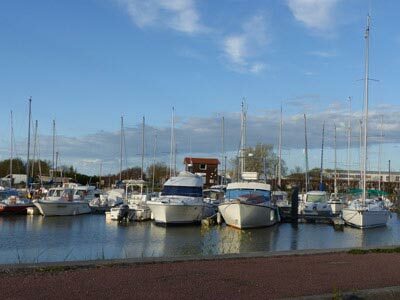 From Meschers to Saint-Palais-sur-Mer, fine sandy beaches stretch 70 kilometers, from which to choose a small cove or a large conche. Each has its style: secret, wild, urban or lined with a pine forest. These family beaches lean against the waterfronts of the seaside resorts. 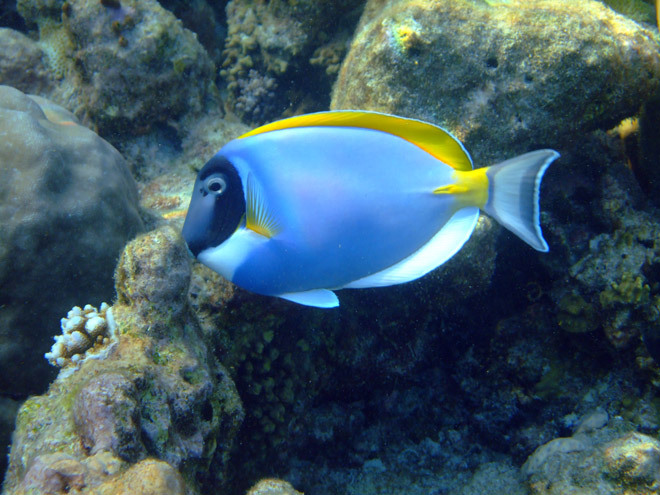 You can spend the day or take a dip between two activities. 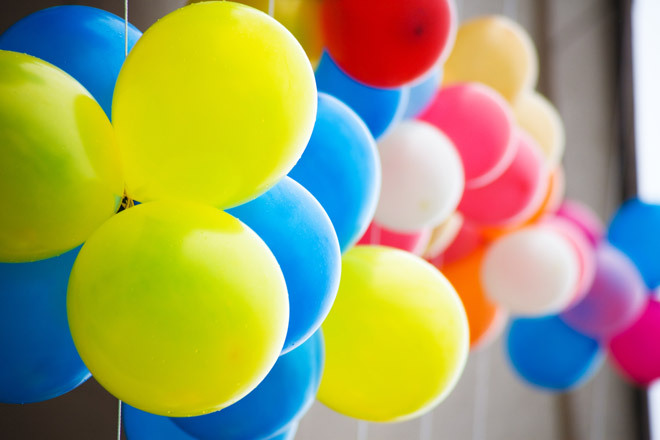 Secure and supervised, they welcome beach clubs and sporting events for the pleasure of all. Take advantage of this privileged moment that allows you to communicate with nature, sunbathe and swim! 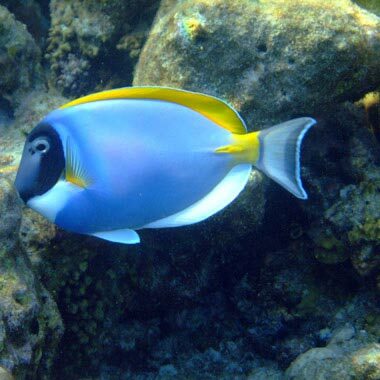 The small +: the sea baths with salt water are very good for the health so do not deprive yourself! - Plage de l'Arnèche: Accessible by the coastal path, between the beach of Vergnes and the beach of Suzac, a few meters from the campsite. 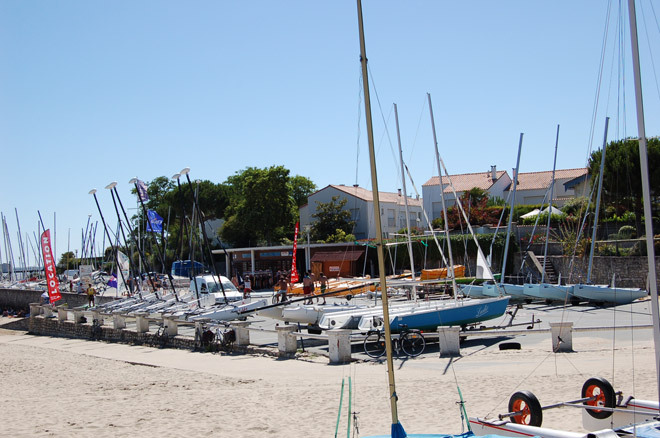 - Plage des Vergnes: Family beach a few meters from the campsite. In summer, fireworks leave the Crown, a cliff end surrounded by the sea at high tide. 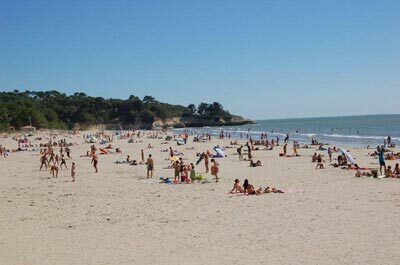 - Plage de Suzac: Beach located in the protection perimeter of the forest of Suzac, which borders it. 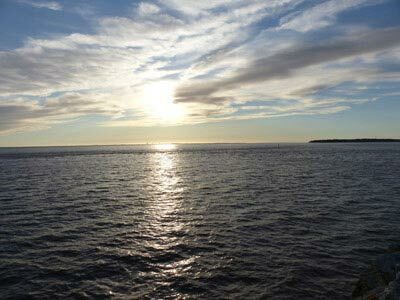 It is the largest beach of Meschers. - Plage des Nonnes: The active beach of Meschers! 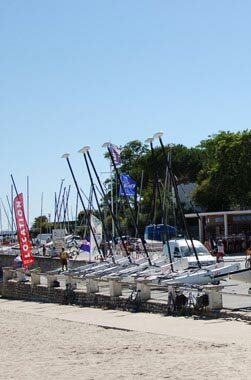 Club for children, sailing club and other nautical activities. - Conche de Cadet: Hidden, it is accessible by a large staircase. At high tide, the sand is completely covered. Access difficult, even prohibited at certain times of the year. Breathtaking panorama! 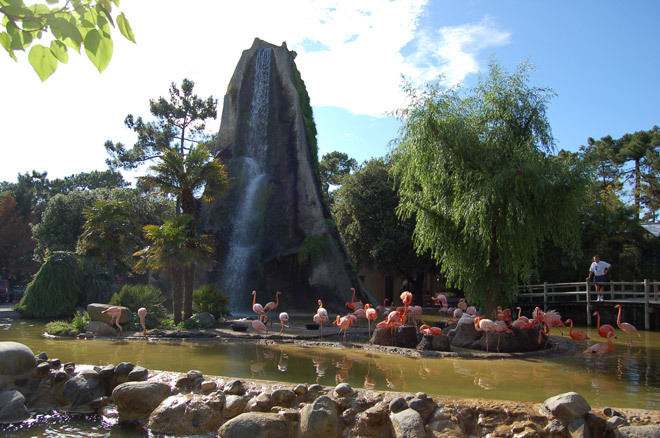 In the heart of the Côte de Beauté and the beaches of Charente-Maritime, a few dunes from Royan, discover one of the most renowned zoological parks in Europe: the Palmyre Zoo. 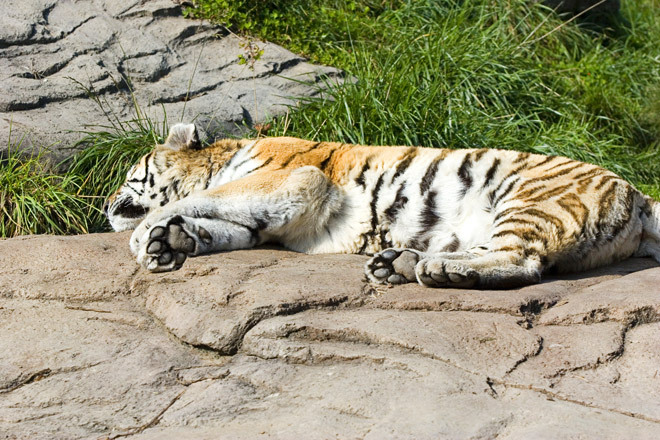 Founded by Claude Caillé in 1966, this unique site now includes more than 1600 animals of 115 different species. Along the shady alleys that wind through 18 hectares of pine forest, observe rare species and learn to know them better. 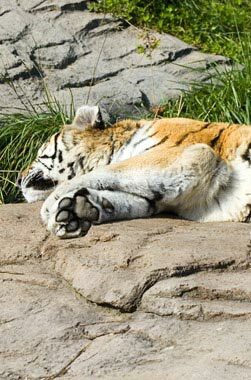 Visit the Zoo of La Palmyre, it is the assurance of a pleasant day in a wild environment exotic. 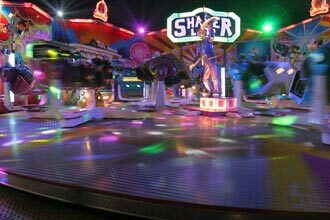 Adrenaline, sensations, and strong emotions are all promises that make the queues of the numerous rides of the Luna Park of La Palmyre lengthen. 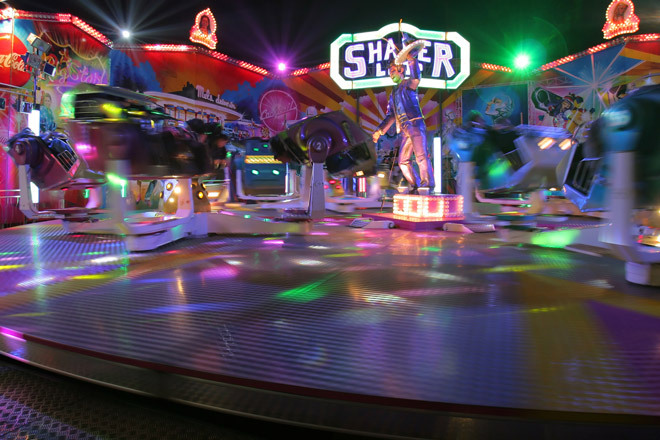 These monsters of technology have become in a few years the kings of fairgrounds for lovers of great thrills. 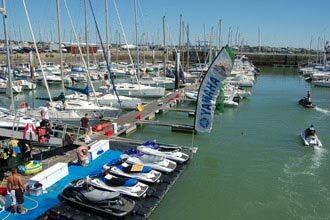 A seaside resort open to the Gironde estuary and the ocean, Royan is a renowned holiday resort, since the 19th century, for its beaches of fine sand and its generous sunshine. 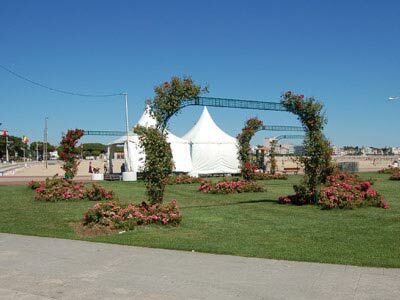 Royan has many assets, in particular the quality and variety of its architecture with its Belle Epoque villas and its urbanism of the 50s, unique in Europe. 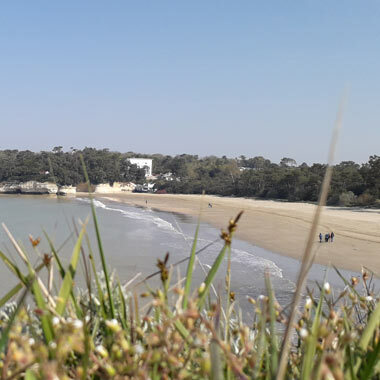 Royan is a lively resort, with a range of sports and cultural activities for all generations, a thalassotherapy institute and a casino that will make you spend pleasant moments of relaxation, as well as numerous events throughout the year. 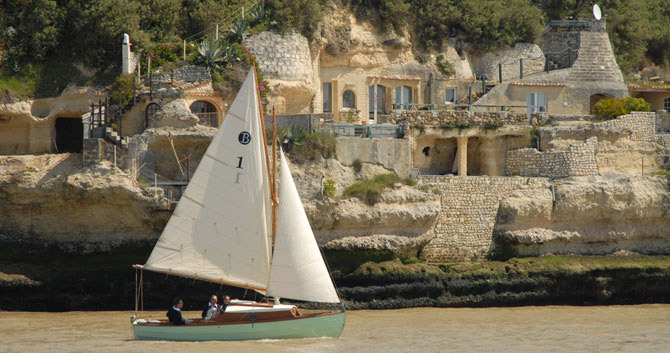 The medieval city of Talmont-sur-Gironde stands out on a small peninsula of a rocky peak. 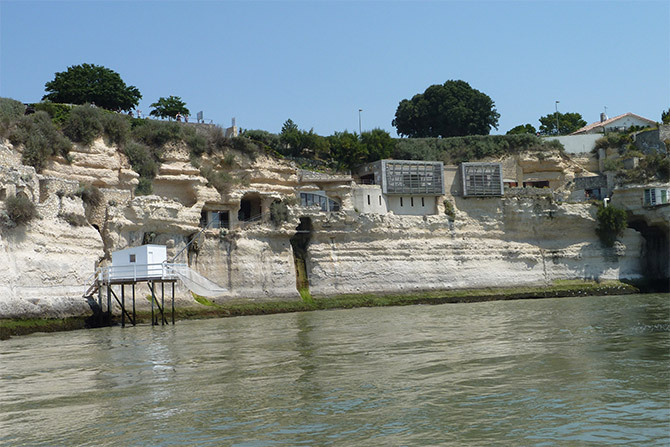 Just after the cliffs of Meschers, located on the road to Santiago de Compostela, Talmont was one of the places of passage of the pilgrims for the crossing of the Gironde. 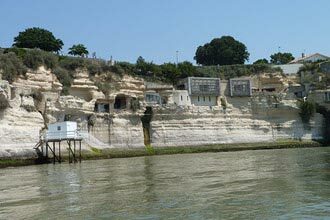 The church of Sainte-Radegonde, built in 1094, remains impressive overlooking the Estuary, on a cliff side. The city hides many other curiosities, between small streets and alleys colored with its hollyhocks that contrast with the whiteness of the dwellings. 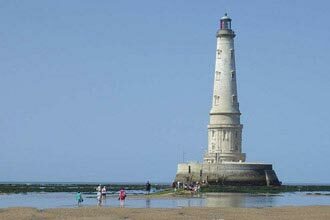 Built at the mouth of the estuary of the Gironde, at 7 km at sea, the Lighthouse of Cordouan, King of lighthouses, lighthouse of the Kings, is equidistant from the coasts Gironde and Charentais. 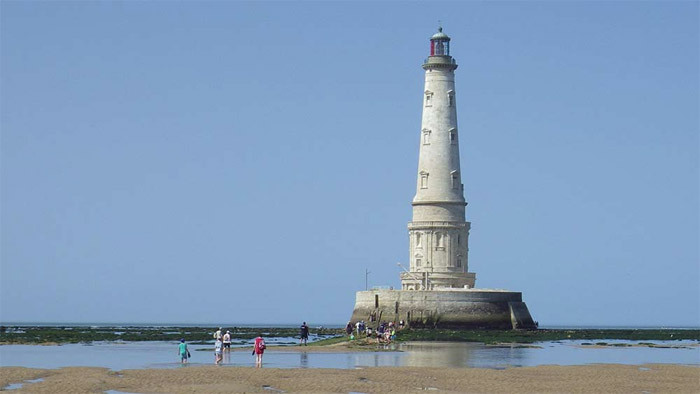 It is the oldest of the French lighthouses still in operation. Classified as a historic monument since 1862, its grandiose architecture, resulting from a long and tormented history, has made Cordouan the "Versailles de la mer", a lighthouse unique in the world whose visit can only arouse your wonder. 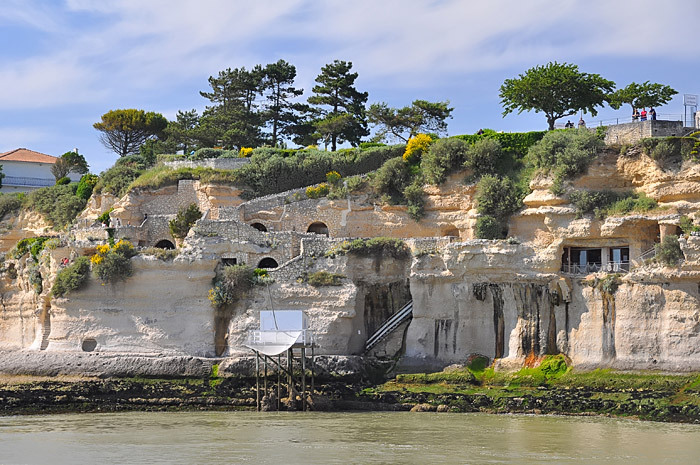 Located halfway between the islands of Aix and Oléron, Fort-Boyard was designed primarily to protect the harbor of the island of Aix and the royal arsenal of Rochefort. Beginning in 1804, the construction of the Fort lasted more than 40 years. At the end of the Second Empire, it became a military prison and then abandoned at the beginning of the 20th century, prey to the plunderers. In 1950, he was enrolled in the Supplementary Inventory of Historical Monuments. 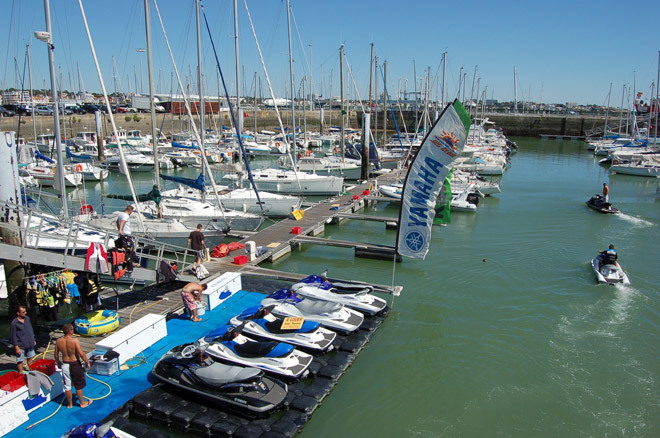 Acquired first by a private individual, it finally becomes the property of the General Council of Charente-Maritime. Entirely restored, it regains its splendor before being the setting of a well-known game show. 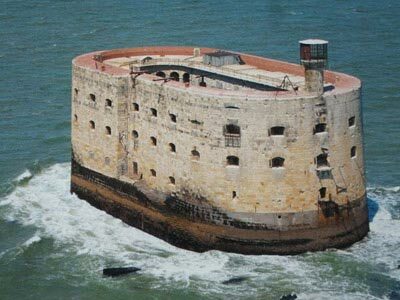 LThe Fort Boyard is not accessible to the public, enjoy a wide range of cruises departing from the island of Oléron (Port of Saint-Denis d'Oléron or Boyardville) to get you closer to this majestic ship Stone. 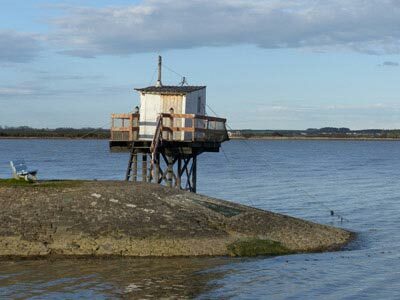 You will also be able to admire the lighthouse of Chassiron or stop over on the island of Aix. A town full of history, La Rochelle impresses with its two medieval towers which guard the entrance to the port. For 1000 years, La Rochelle "the rebel" liked the difference: Democrat long before the time, she is Protestant when the whole of France is Catholic; It is protected from kings when the country bends under the weight of taxes ... .. Throughout history, it displays its difference. Today, it remains a place of pilgrimage for many tourists. Town of Art and History, Rochefort presents a maritime heritage unique in the world with the Corderie Royale, the Chantier de l'Hermione, the Formes de Radoubs, the Old School of Naval Medicine and the Hospital of the Navy or The Garden of Returns. 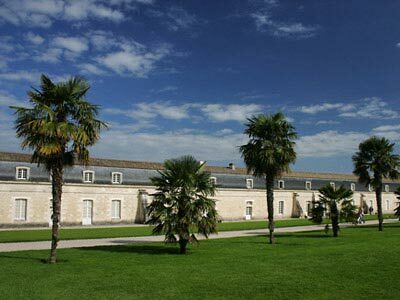 The National Maritime Museum, located in the Mansion of Cheusses, allows the visitor to grasp all this maritime history. Above the Charente, between Rochefort and Echillais, stands the very last Bridge Transbordeur de France. A magnificent building born of the will of Louis XIV and Colbert to build arsenals for a powerful fleet of war. The construction of the first structure began in 1666 and ended in 1669. This 374-meter long building is placed on a raft of oak beams to compensate for the instability of the marshland. 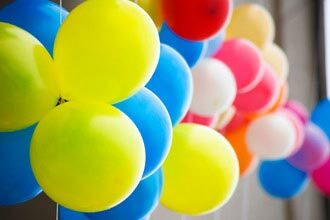 Its long length is explained by the need to make cables with a cable length of 200 meters. 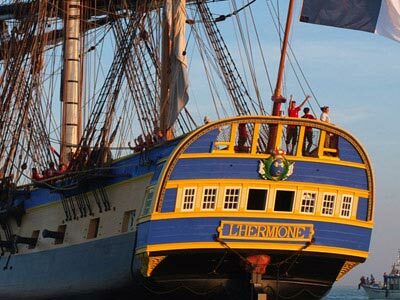 Since July 1997, the Hermione-La Fayette Association has embarked on a tremendous adventure, the reconstruction of the ship frigate Hermione, which in 1780 enabled La Fayette to join the American insurgents in their struggle for independence. Vessel over 65 meters in overall length, with a wing of 1500 m2 spread over three masts, the Hermione was built according to the plans of the engineer Chevillard Aîné. Belonging to the category of light frigates, characterized by speed and maneuverability, the Hermione was equipped with 26 cannons firing 12-pounder balls, hence its name "frigate 12". It was in 2015 that the ship returned to America, crossing the Atlantic for History in the footsteps of La Fayette with a crew of 78 people: 15 professional sailors, 56 volunteers Maneuvers (called "gabiers"), and 7 supernumeraries (technicians, journalists ...).